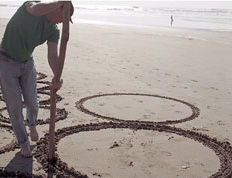 You don’t need anything more than a big stick and an empty beach to make cool art. 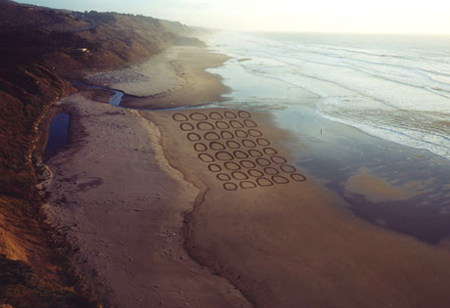 While Andres Amador makes wonderful crop circles on the beach in San Francisco (see my previous post), Jim Denevan creates similarly giant sized drawings on the beaches of Santa Cruz. Different style. Equal surprise. Denevan works completely free hand. No ropes or measuring tools. 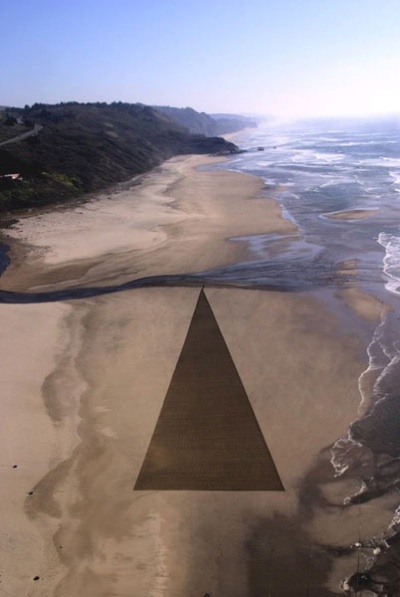 You can make sand paintings in the desert too. 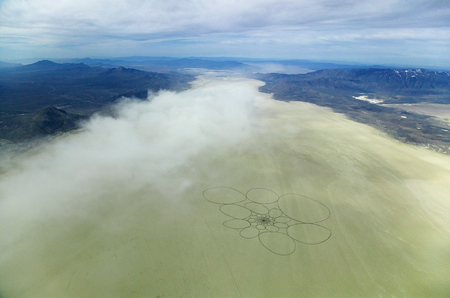 This past spring Denevan carved this 3-mile wide doodle in the wet sands of Black Rock Desert. He dragged a chain sled (the kind used to level the dirt in baseball infields) behind a bus.